Design of a custom web 100% responsive and sales focused. At BookingCore we know that digital sales depend on many factors. We believe that design and usability are key to success. 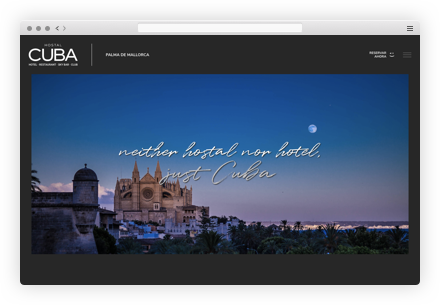 This is why with BookingCore, your hotel will have an updated website at all times, with a trendsetting design and very focused on its target markets and product. Custom design for your hotel in any display. Designing our own Mobile Web - which will help us get more sales - is already a fact. Stop depending on third parties, 100% agility in any website update. 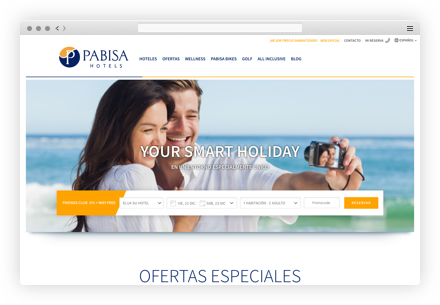 Success was never this easy: website restyling + booking engine, we are almost there. 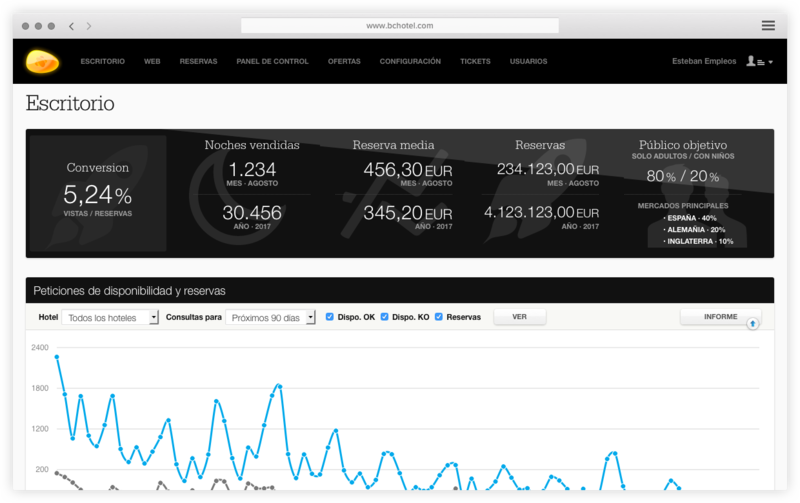 Control your hotel occupancy and price per day in a single click. 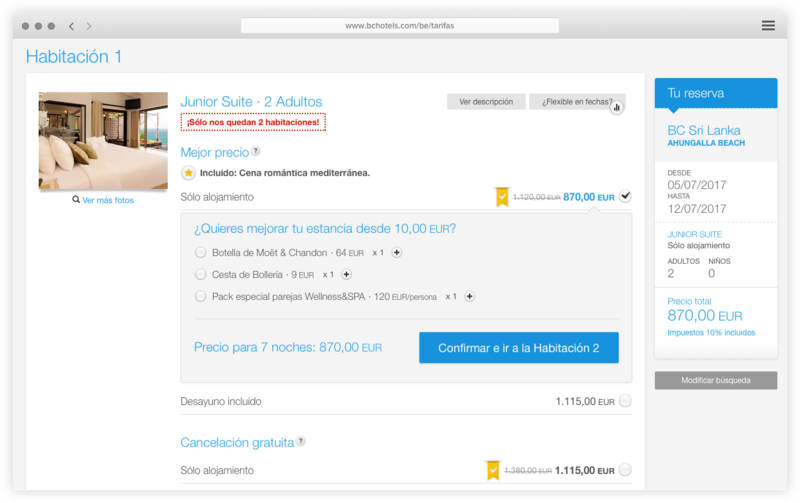 Booking Engine, multi rate, with which you should not simply sell beds. Stay ahead of the demand, benefit and sell at the best price. Let's push direct sales one step further. 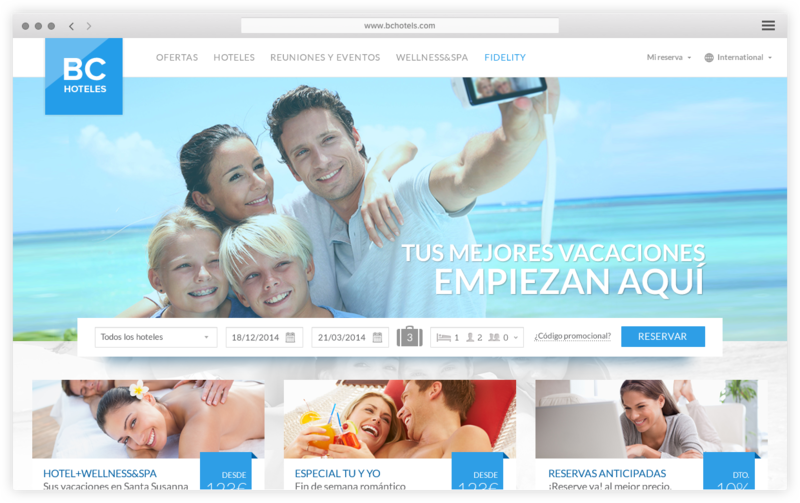 We already have a new website and the best booking engine, now is the time to increase sales! BookingCore relies on the potential of its clients. That's why we invest in them with PPC campaigns, retargeting, affiliates, ... whilst the hotel continues to pay only based on results. The best way to get quality visits and results. Make the most of our clients' potential and communicate with them. Extend your team with BookingCore. We want to be part of your team. Take advantage of our human and professional team and grow bigger to carry out the right sales strategy to increase direct sales. For us, our close relationship with you is essential. Your right-hand person, who will help and assist you to achieve your goal. Support anytime. For any doubt, query or incidence. Integration with your PMS, Channel Manager,. No sign up fee, no fixed rate and no ongoing commitment! Our clients loyalty is our best guarantee.